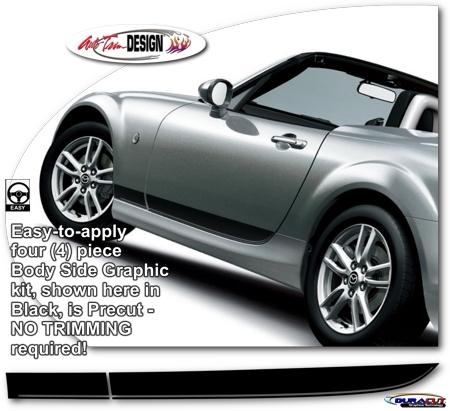 Set your '06-'15 Mazda MX-5 Miata apart from the rest with this unique Body Side Graphic Kit. This easy-to-install kit is packaged as a set of four (4) precut pieces - ready to apply. Designed to be placed along the bottom of the door edge, kit is available in a wide variety of colors.